•	Cut a quarter to a half inch off the bottom of the trunk before placing it in its stand. This is vital to a tree’s ability to uptake water. 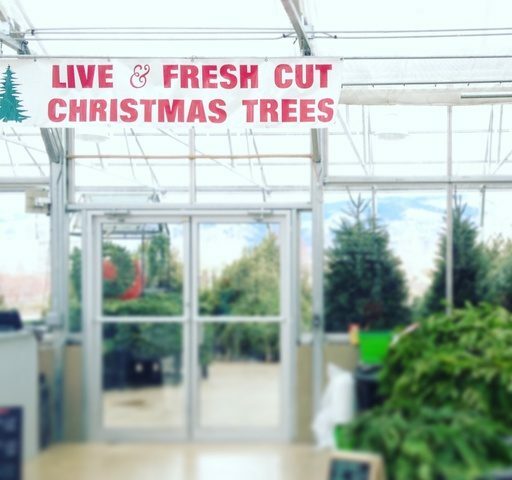 We do this for you when you purchase your tree here. •	Choose a tree stand with at least a quart holding capacity for water. Fill with water and check daily. Cut trees can drink up to a gallon a day! Continue to add water as needed while your tree is indoors. •	Keep your tree away from any heat sources like fireplaces, appliances or heating vents. Live Christmas trees need extra consideration for holiday decorating and care. It is important to keep live trees in their dormant state for successful survival beyond the holidays. Gradually acclimate your live tree to room temperature by keeping it in a cool garage for a few days before bringing it indoors. Water your tree and allow it to drain before moving it indoors. Keep your tree indoors for no more than one week or it will break dormancy. Avoid placing your live tree by any heat source and use LED or mini lights that give off little heat. Before returning a live Christmas tree outside, water it thoroughly and move it somewhere cool like a garage before exposing it to winter temperatures. Keep your live tree for the remainder of the winter outdoors where it will have good snow coverage and some shade. This will offer it protection from the elements. Avoid placing your potted tree in a sunny spot or wind exposed area as this will dry out the needles. Once the ground is thawed in the spring, your live Christmas tree can be planted and enjoyed for years to come.